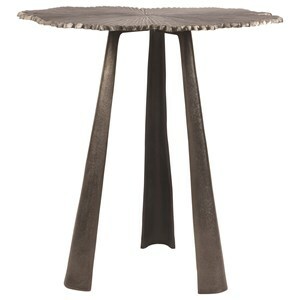 This lamp table from the Roda collection is sure to turn heads. 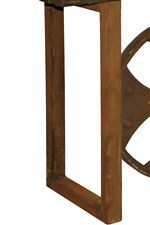 Crafted with a whimsical wheel base, this end table will make the perfect accompaniment to cozy up to your favorite seat in the house. The square table top provides plenty of space to showcase a lamp, family photo, or decorative accessory of your choosing. 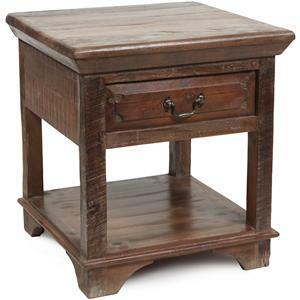 The medium stain finish of the table has been distressed to give an overall look of a well-loved heirloom. 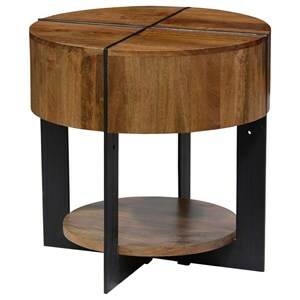 Outfit your living room with eye-catching style by bringing home this lamp table from the Roda collection. 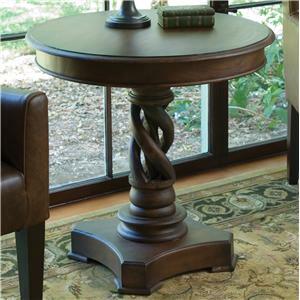 The Roda Lamp Table with Whimsical Wheel Base by Classic Home at Fashion Furniture in the Fresno, Madera area. Product availability may vary. Contact us for the most current availability on this product. 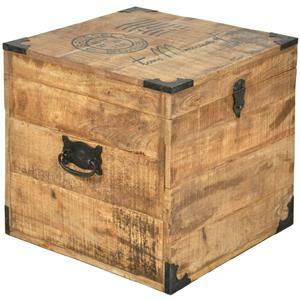 Case Construction Classic Home furniture is crafted using Sheesham and Kikor - arosewoods indigenous to India. Fill any seating area in your home with eye-catching style by incorporating the Roda collection in its design. 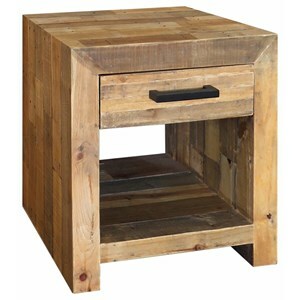 Warm rustic style has been influenced by industrial chic in this collection of living room occasional tables. 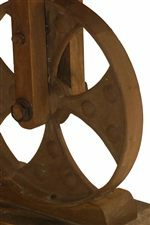 The medium stained wood with high distressing takes on a whole new sense of style with the metal wheel accents. Sure to make a statement cozied into any seating area, welcome the Roda collection into your home decor today. 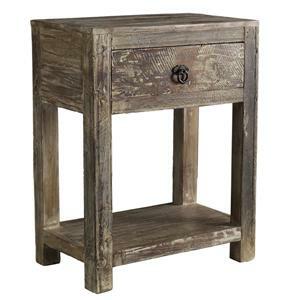 The Roda collection is a great option if you are looking for Rustic Contemporary furniture in the Fresno, Madera area. 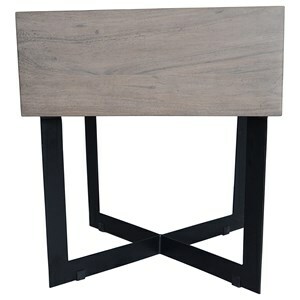 Browse other items in the Roda collection from Fashion Furniture in the Fresno, Madera area.